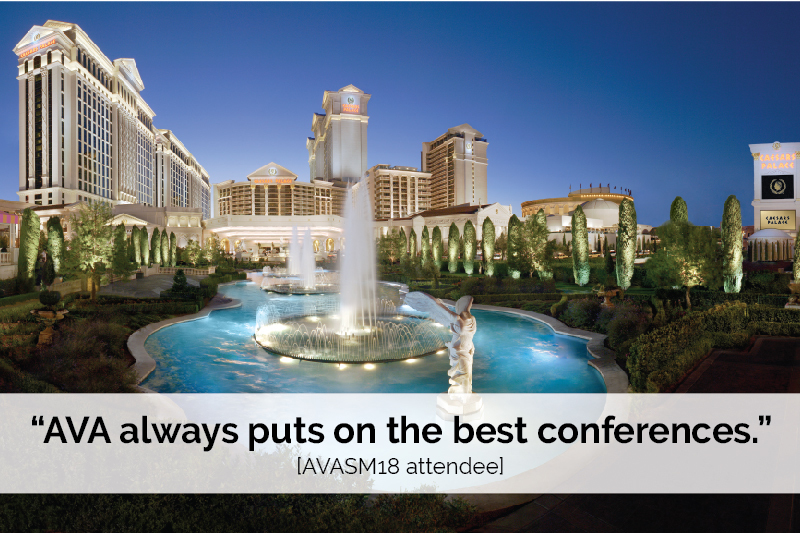 Join more than 1,400 vascular access professionals at the AVA 2019 Annual Scientific Meeting at Caesars Palace in Las Vegas! 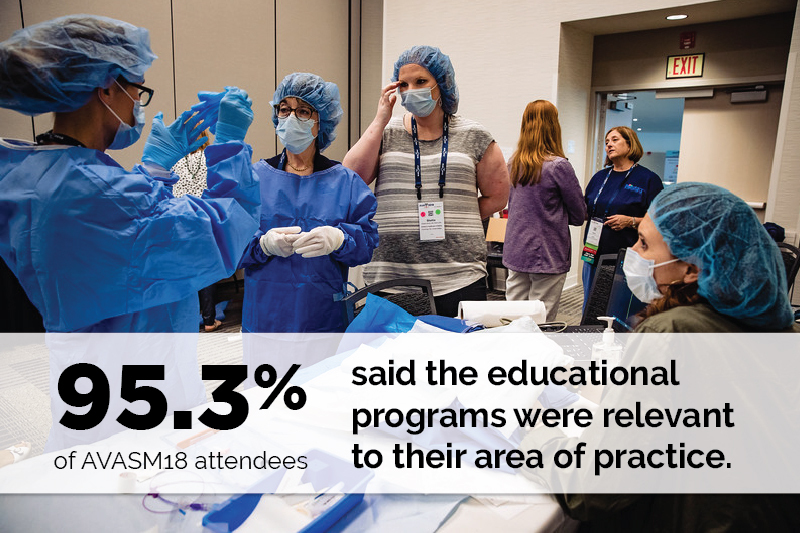 This four-day meeting, from October 4–7, 2019, will provide attendees with opportunities to participate in educational sessions, hands-on clinical training, new product demonstrations and plenty of networking. 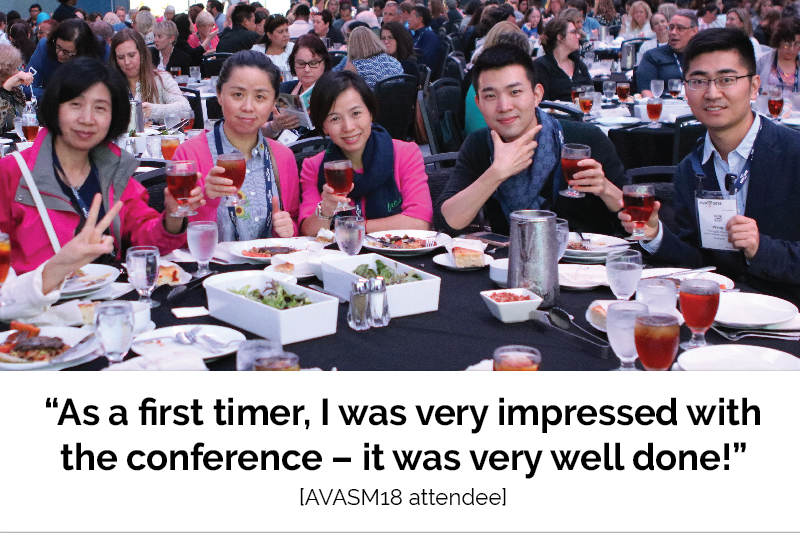 More than 1,400 attendees, including a record-breaking 1,026 clinical attendees, took advantage of inspirational general sessions, insightful educational breakouts, a sold-out exhibit hall, and more than 100 research posters at the 2018 AVA Scientific Meeting in Columbus, Ohio. Check out highlights from the meeting here! 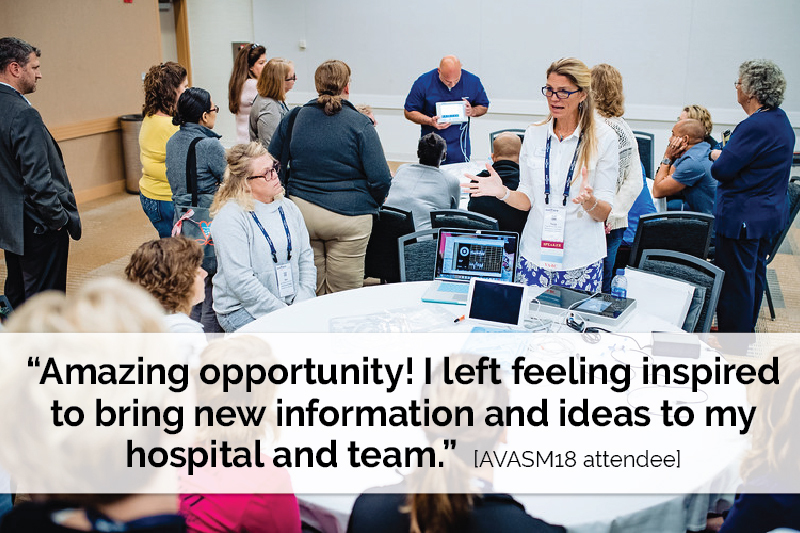 Join AVA for its annual Scientific Meeting where you can…. Discuss new ideas and evidence with speakers after educational sessions. Be inspired by world-class AVA speakers, members and leadership.